Alan D. McClure started in business in 1979 with a small rubber tire backhoe, a Caterpillar Wheel loader, and a Dump truck doing light residential work, building watersheds, and building pads. 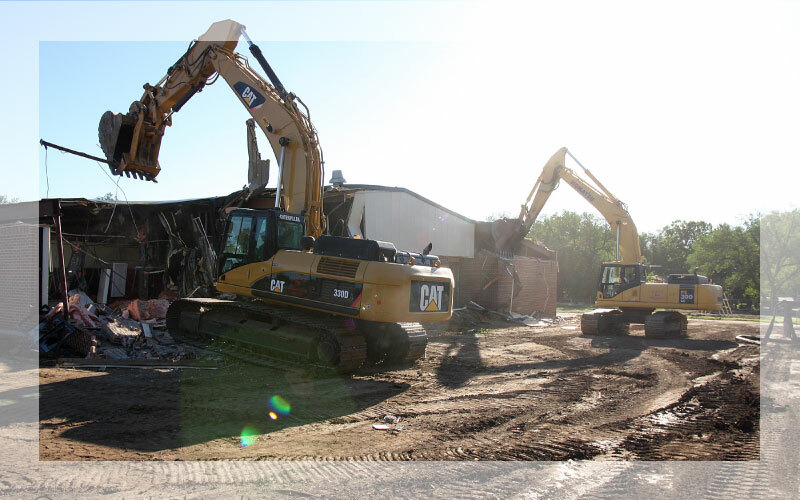 Over the years he expanded his fleet and started constructing housing developments, commercial site work, utilities, and demolition. After Alan’s death in 1999 his Son Jake McClure and Nephew Nick McClure bought the business and hit the ground running. In the past 15 years the cousins have grown the business to be capable of handling anything from a Walmart Super Center to a Small pond for a local farmer. In 2003 we bought our first GPS system for our 14H motorgrader. We now have over 10 years of experience with GPS equipped machines that consist of Motorgraders, Scrapers, Excavators, and Bulldozers. This equipment ensures our customers that we will move the dirt right the first time and avoid timely and costly re-grading. We take great pride in the finish work of our operators and equip them with the best equipment available. The end result is our customers get a project that is built on-time, on-grade, and within budget.